Correction on the Article Attributed to John Cleese: Watch What You Pass On! It does help to alert us to make sure when we pass things on we do check, or at least say that we are not sure whether it was actually written by the person. Yesterday I read something on Facebook attributed to Pope Francis that I highly doubt he actually said. In these days of political campaigning in the USA it is important to be careful what we send out. If we are not sure it is better to wait. Having said that, if you do want a good laugh, and are not offended by political satire, go ahead and read this article. 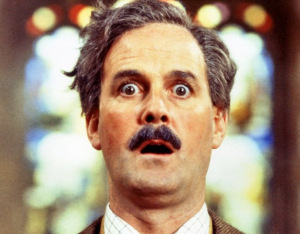 But just know that it is not John Cleese that wrote it! !